I chanced upon Xian Jin Mixed Vegetable Rice when I was down at Blk 216 Bedok Food Centre doing research for an article about cheap cai png. 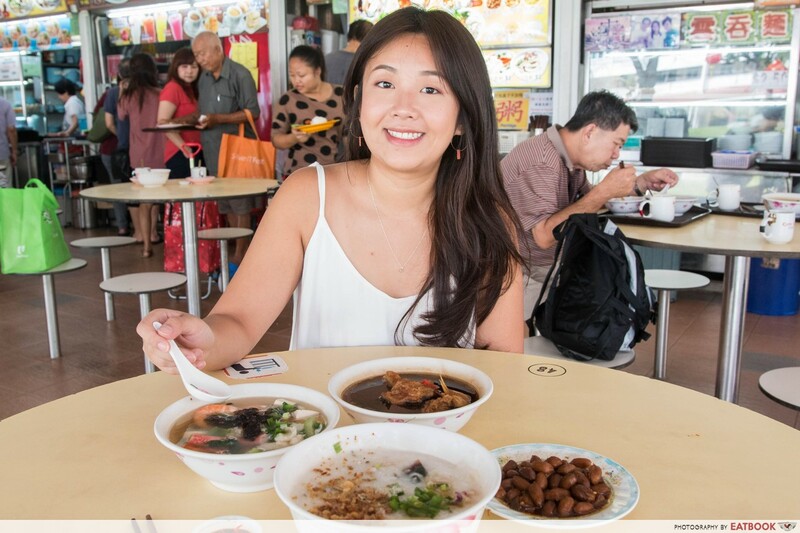 What first drew me in was an elderly lady, who had her elbows out and face glued to a big bowl of bak kut teh. She was savouring the dark broth with such enthusiasm that I had to find out where she got it from. I spied around and spotted Xian Jin Mixed Vegetable Rice. They were selling dishes such as bak kut teh, seafood soup, chicken soup, and different kinds of porridge, all priced at $2 each. I knew I had found a hidden gem. At just $2 a bowl, we were surprised by the generous quantities. 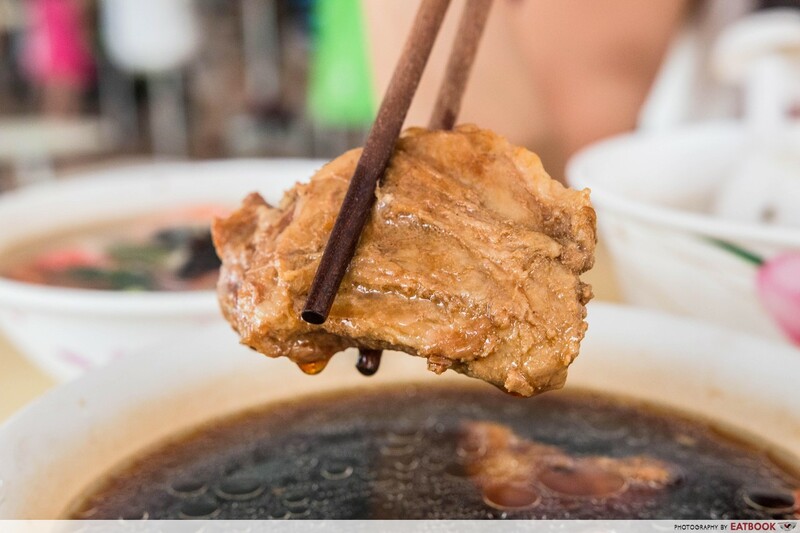 The first dish we tasted was the Bak Kut Teh ($2), which I was intrigued by from the beginning. 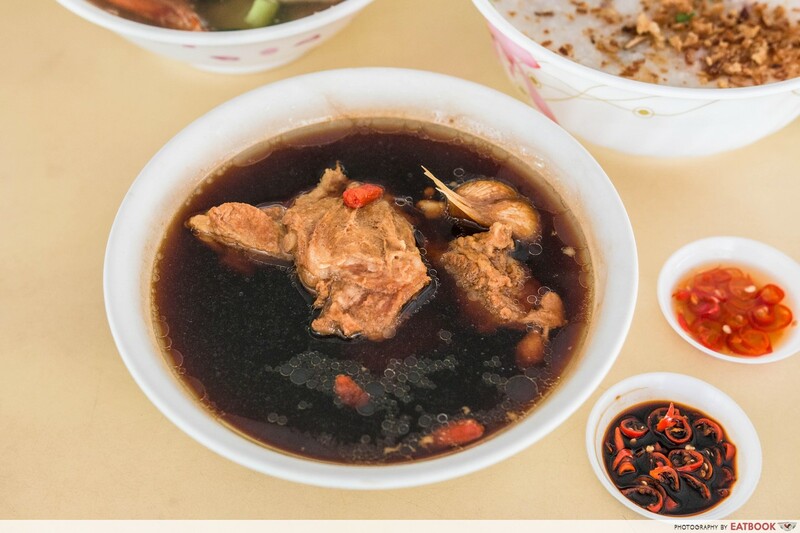 This might actually be the cheapest bak kut teh in Singapore. There were three huge chunks of meat hidden in the depth of the dark pork bone soup. They were the highlight of the dish. Not only were they tender enough for us to pull apart with our hands, they were also savoury. When you bite through them, the first taste is the light herbal notes from the broth, then you’re into succulent, juicy meat. Sadly the broth paled in comparison. It lacked the kick and depth of flavour you usually get at other bak kut teh stalls out there. 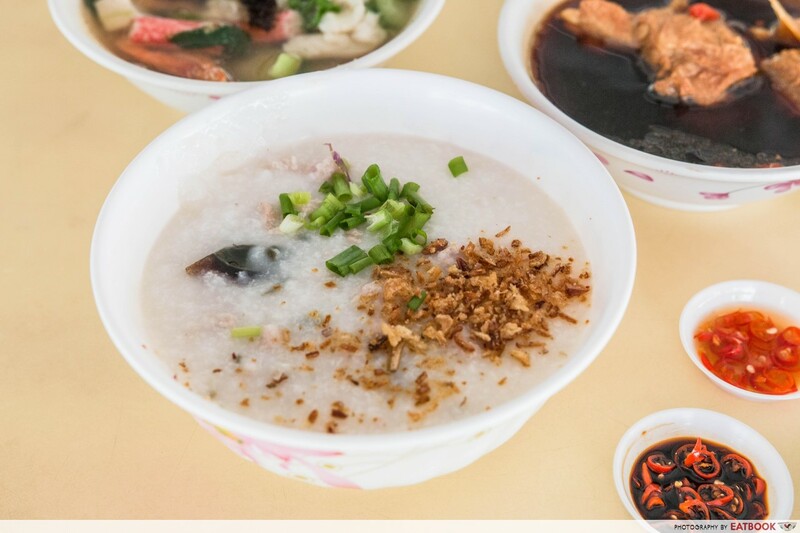 The second dish we had was Century Egg Minced Meat Porridge ($2). Initially, it looked plain, only dressed up by a good scattering of both spring and fried onions. Adding a dash of pepper and a drizzle of light soya sauce, we mixed the porridge up to find cubes of century egg and minced meat. It had more of a congee consistency. Contrary to how plain it looks, a subtle pork flavour was apparent in each spoonful. This meaty aroma triggered memories from 10 years ago, of my nanny cooking up a hearty pot of porridge for me when I was feeling under the weather. 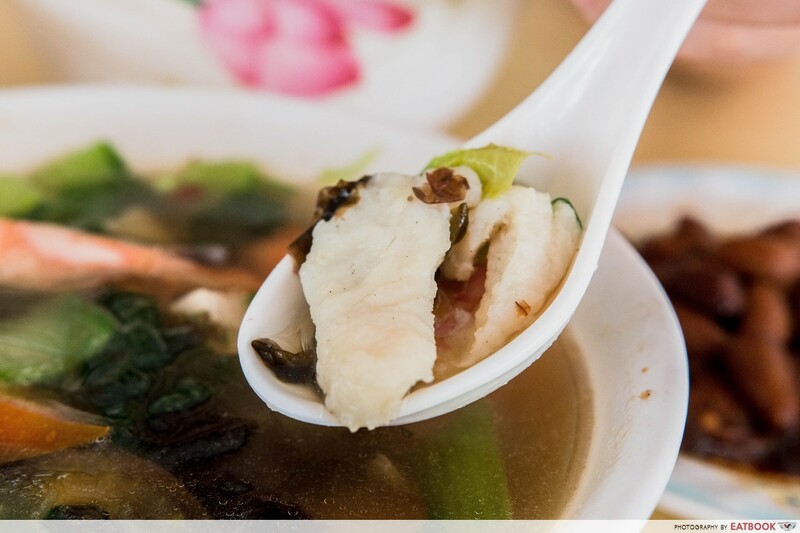 The last dish we ordered was Sliced Fish Soup ($2). 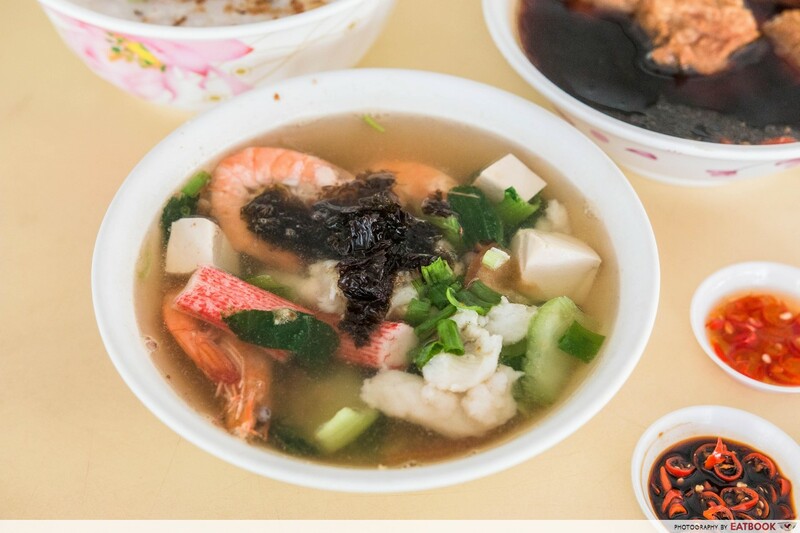 The ingredients were namely fish slices, prawns, crab stick, tofu, and vegetables. The soup was clear and clean, with no trace of grease on top. We found only six measly sized slices of fish. Though little in quantity, they were tasty, as if marinated beforehand. The prawns, however, were telling of their quality. They were slightly mushy and tasted bland. The broth was light, validating the Healthier Choice symbol stamped beside its name on the menu board. I love immersing in the hustle and bustle of the hawker centre. It is something us 20-somethings get to do lesser and lesser as we start #adulting or working on weekdays. Blk 216 Bedok Food Centre is generally clean and the area is bright. Get out of bed on the weekends and drop by to visit Xian Jin Mixed Vegetable Rice. They open from early morning till late afternoon at 4pm, or when food runs out. 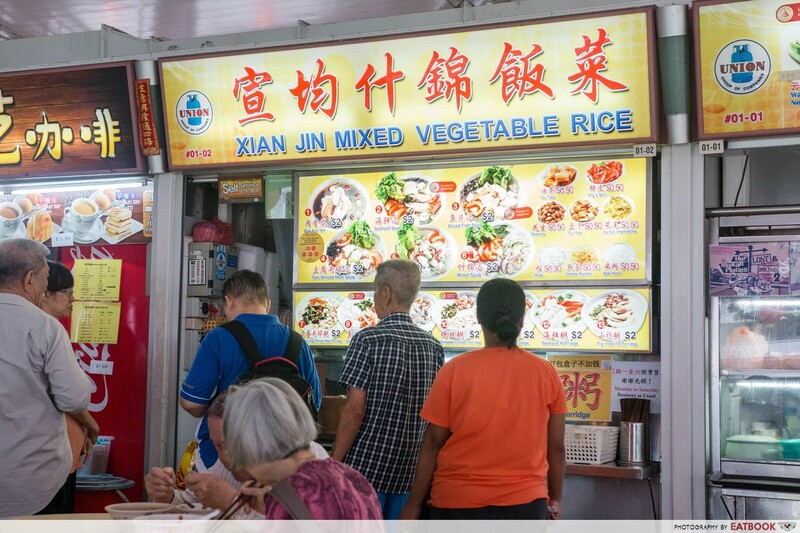 Xian Jin Mixed Vegetable Rice is generally unknown to people outside of Bedok. It amusingly reminded me of Daiso! 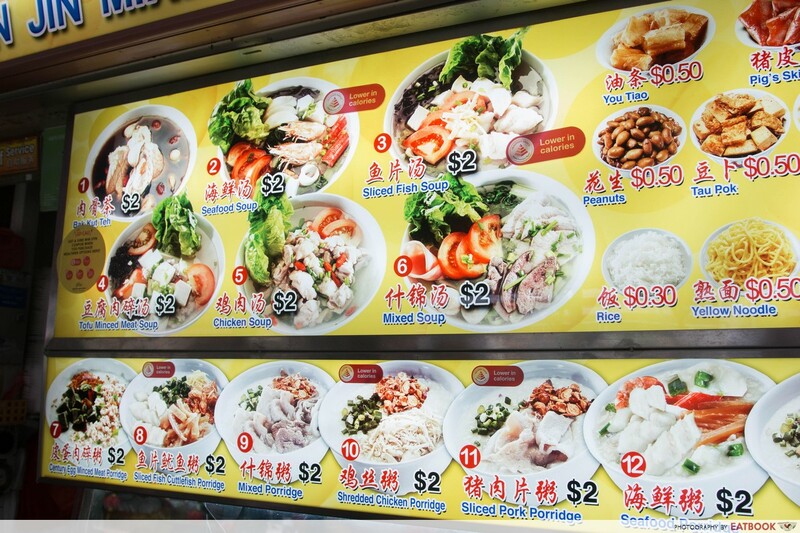 At just $2 each for a hearty meal, this stall is a sure-hit amongst many, especially those looking for a more healthy dish, or youngsters waiting for payday to arrive. Here’s more of what they offer. 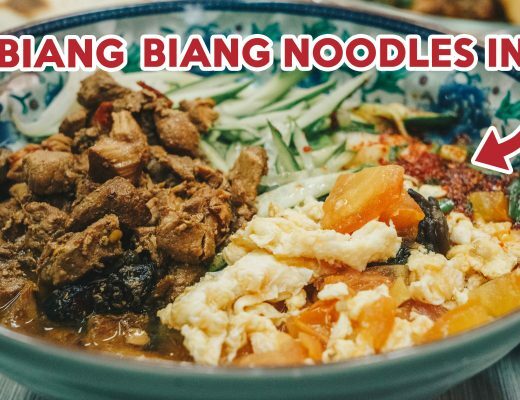 Delicious add-ons include Braised Peanuts ($0.50), You Tiao ($0.50), and Tau Pok ($0.50), or carbs like Rice ($0.30) and Yellow Noodles ($0.50), which you can order to make it a full meal. 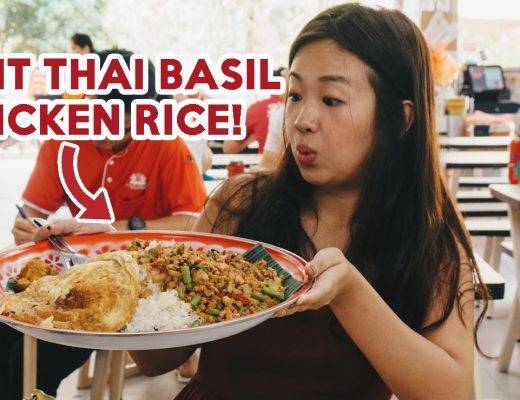 If your new year’s resolution is to save more money, check out these other Maxwell Food Centre or Seah Im Food Centre grub that are under $4.50. Xian Jin Mixed Vegetable Rice is not a halal eatery. 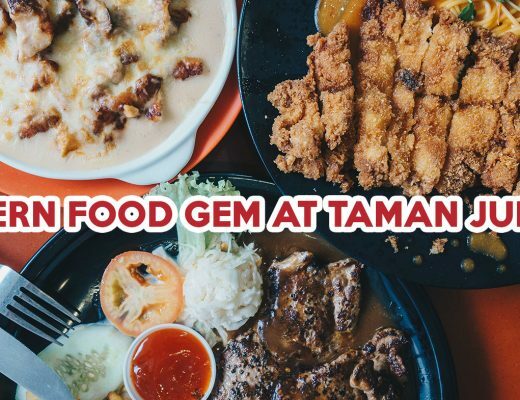 This is an independent review by Eatbook.sg. A lover of content, a pursuer of creative hobbies - currently on embroidery. 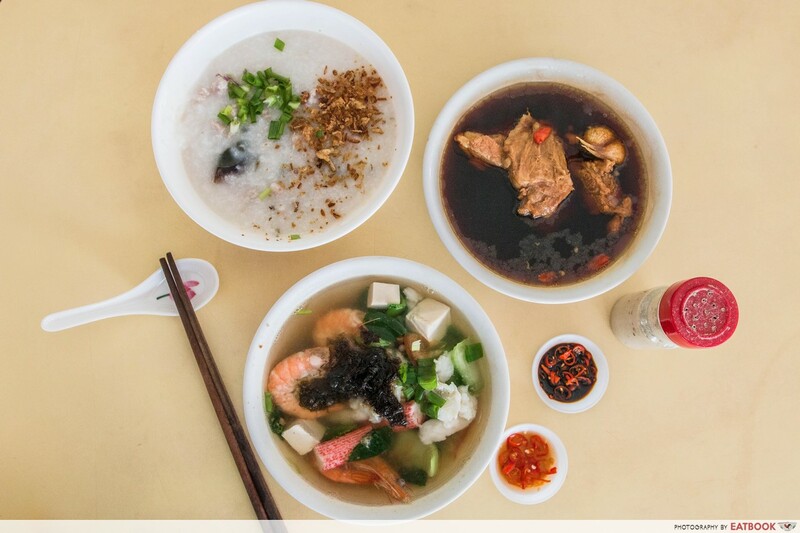 Eatbook offers honest reviews and recommendations on Singapore food. EatBook.sg© 2015 - All Rights Reserved.